Count on blistering productivity with the iPF825. 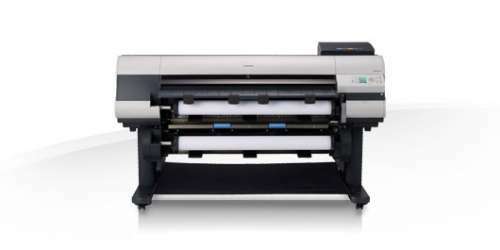 Designed for CAD & GIS applications in both print for pay and large corporate environments, this 44” printer delivers exceptional line reproduction, vivid colours, high image consistency and features “hot swap” high capacity ink tanks. 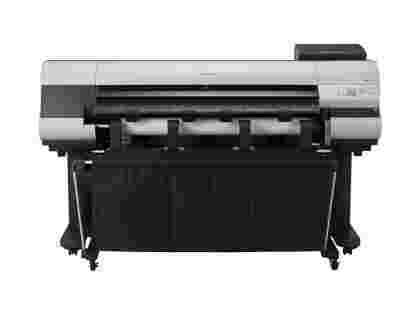 Plus, the dual roll enables you to print for longer on different types and sizes of media. Canon’s 5-clour dye-and-pigment reactive pigment ink system produces vivid colours and the sharpest, thinnest lines, and with a range accuracy of +/- 0.1% as well as a minimum line width of 0.02mm, precision is guaranteed - images rendered at 2,400 x 1200 dpi for maximum impact, thanks to super-fine print heads using 15,360 nozzles. Exceptional image quality is accompanied by breathtaking productivity, with draft A0 prints in 45 seconds and A1 in just 24 seconds. High capacity 330ml and 700ml “hot swap” ink tanks are used, which can be replaced during production for non-stop productivity, as well as borderless printing to save you time on finishing. 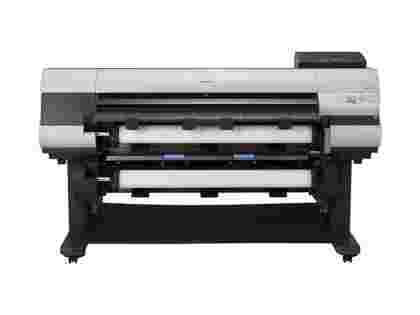 The device also comes equipped with a dual roll unit, which enables you to easily print long runs of different types and sizes of media.